Zebra has introduced a new, all-in-one way for shipping departments to increase speed and efficiency when printing and applying packing slips. 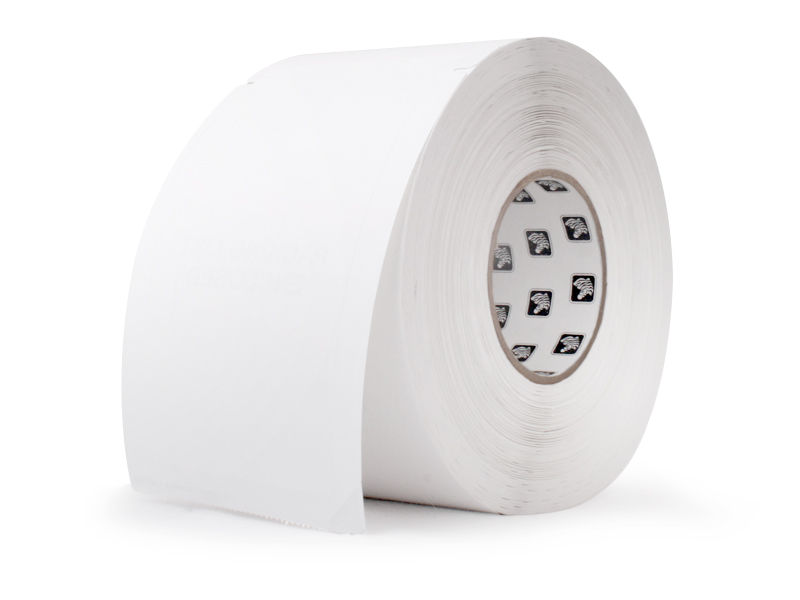 The patent-pending Z-Slip packing slip solution consists of Zebra's new Z-Slip packing slip label and an integrated, peel-and-stick sleeve for thermal printers. Printing and applying traditional packing slips can be a labor-intensive process that devours an average of 40 seconds per package. 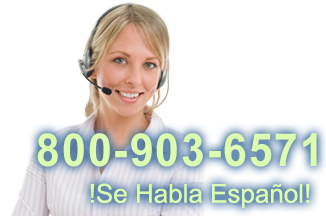 Shipping-department employees are required to print a slip on a laser printer, fold the slip multiple times, slide the slip into the sleeve, remove the liner and finally, stick the sleeve onto the box. With Zebra's new all-in-one Z-Slip system, they can print, peel, and apply in just 11 seconds! 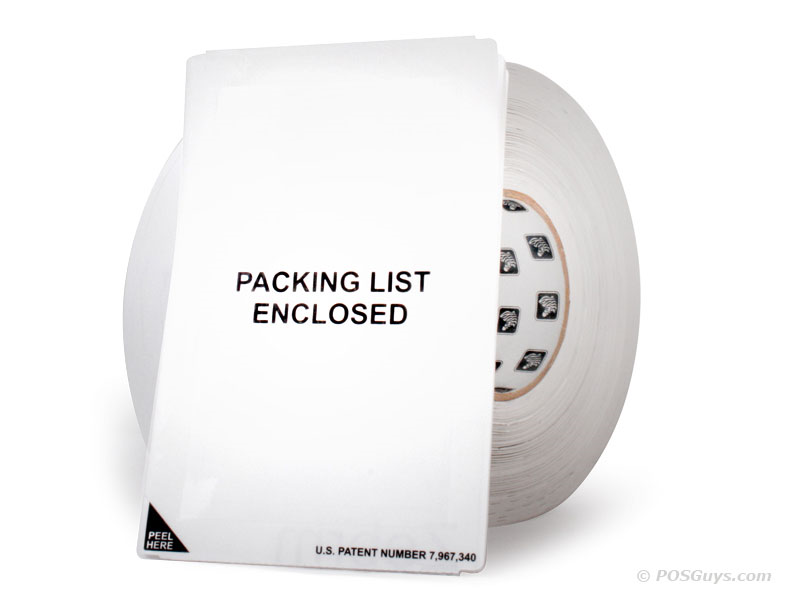 Once you figure out how this label works you will be blown away by professional this new packing slip solution is. We did find that even though the roll was too big to fit inside some of our printers, we could still easily feed the labels into the printer with great results. Find it faster! Click here to compare Z-Slip models by feature. Hi, this is Travis from POSGuys.com. Today we're going to be taking a look at a new media product from Zebra. This is for doing packing lists and printing them on the outside of the box. So typically when you print a label, the words are on the outside, you slap it on the box. That's great for shipping and showing the address, but you don't necessarily want to show what's inside. So with this product, you'll only see the words "packing list enclosed." And then what you do is you peel this off and then you have your packing list on the inside. The way that you attach this to the box is that when you print them out, there's a sticky boarder on the outside, you peel off the edges, you can see your packing list on it, and then you just attach it to the outside of the box. And then it's ready to ship like that. These are printed with a direct thermal Zebra printer. Here I have this Zebra ZT230. This is their preferred barcode printer for using this media. It's in their mid-level of printer, it's not their super industrial, but it's much more industrial than a desktop printer. You can do the full 3-inch core media, and that's the only cored media that this label comes into. And then it just loads up like any standard label, wraps underneath the print head. If you're using thermal transfer ribbon, then that would load up here. You pull that through to use the ribbon. These are direct thermal labels so we don't need ribbon. Close it up, close the cover up, and it will calibrate and send out one label. Now it's ready to print. On my screen I'm running Seagull Bartender demo, so this is a professional demo, and I have it linked to my store manager database. This is just a very basic set up, I'm just trying to simulate a packing list. Basically what I'm going to do is I'm going to print, it's going to prompt me for what do you want on the label and how many of them are there. So I'll go to print, my ZT230 is selected, and then I go to print. It tells me that I'm in demonstration mode and says what's the part number. I'll just put in a '1', this is my test item, and then how many, so I'll say 100. Print. And it sprit out my label, and I'm ready to attach it to the box. Again, just simply remove the edges, and now I can place this right on my box and my packing list is good to go. So this is the new Zip Ship media from Zebra and the ZT230 industrial printer from Zebra, It's a great solution for anyone doing warehousing and printing a lot of boxes and that they don't want to open each box, they just want to put a packing list on the outside of the box, and ship as quickly and efficiently as possible. This is definitely a great solution to take a look at. To purchase the media or the printer, please visit us at POSGuys.com. Thanks!